Our core business is demolition, house demolition, asbestos, asbestos removal, civil and earthworks. We service the western side of the great divide. Our clients range from government bodies, commercial and industrial entities, to private customers. All our work is carried out with licenced and fully trained personnel and within the guidelines of the Australian Standards and Code of Practice. 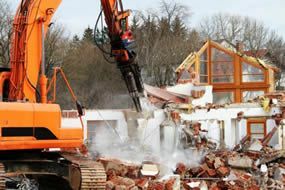 If you are demolishing all or part of your property, it is vital that you get a licensed demolition professional to carry out the work. You will need a demolition permit from your local authority which OH Demilition will be able to help you with. 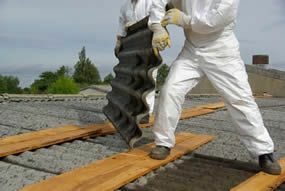 Asbestos is a dangerous fibre that is present in many older homes and commercial buildings. It poses a serious health risk and, as such, needs to be disposed of by a licensed professional. OH Demolition specializes in the safe removal of asbestos. Excavation and earthworks for civil projects, commercial and private property. 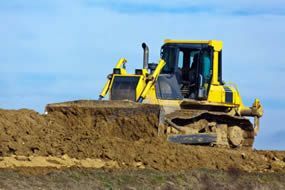 Please consider OH Demolition for your next earthworks or excavation project. All our work is carried out with licenced and fully trained personnel and with in the guidelines of the Australian Standards and Code of Practice. Copyright © OH Demolition Pty Ltd 2018. All Rights Reserved.